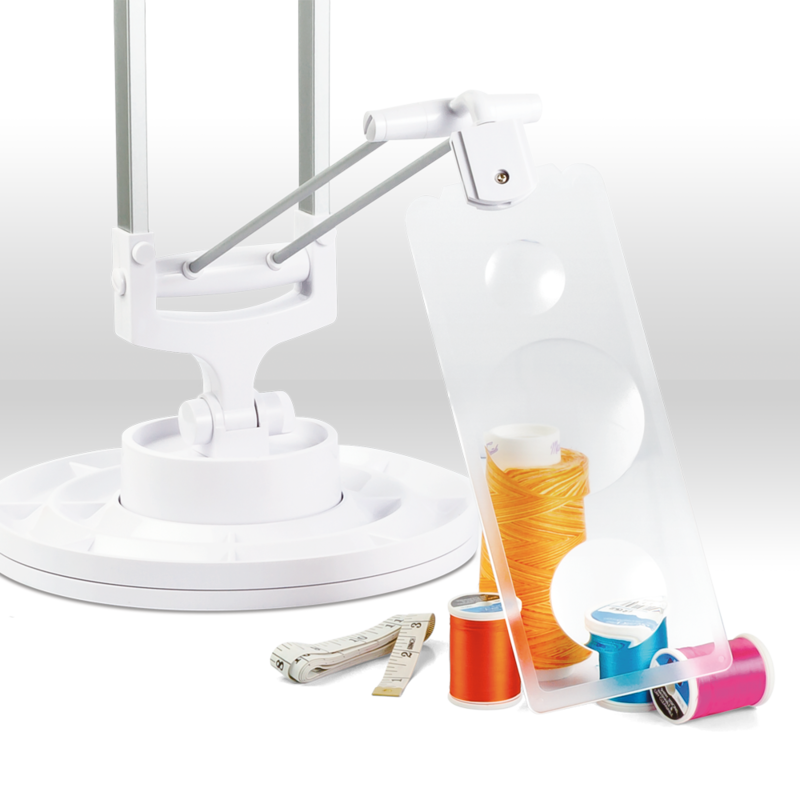 Dont sweat the small stuff...organize it! 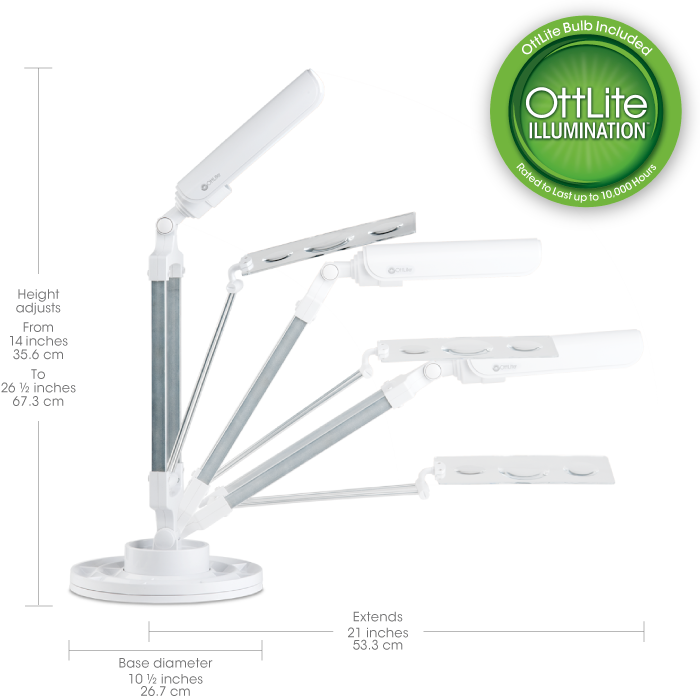 The 13w Craft Organizer lamp is great for bringing OttLite Illumination™ to both large andsmall projects. 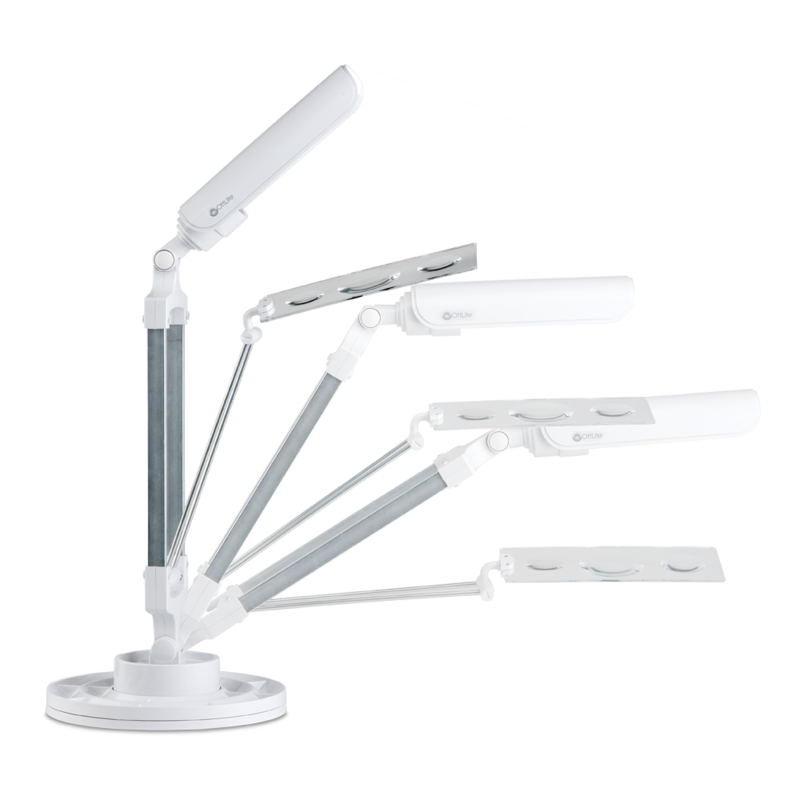 The low heat, low glare illumination dramatically helps reduce eyestrain for hours of creative fun. 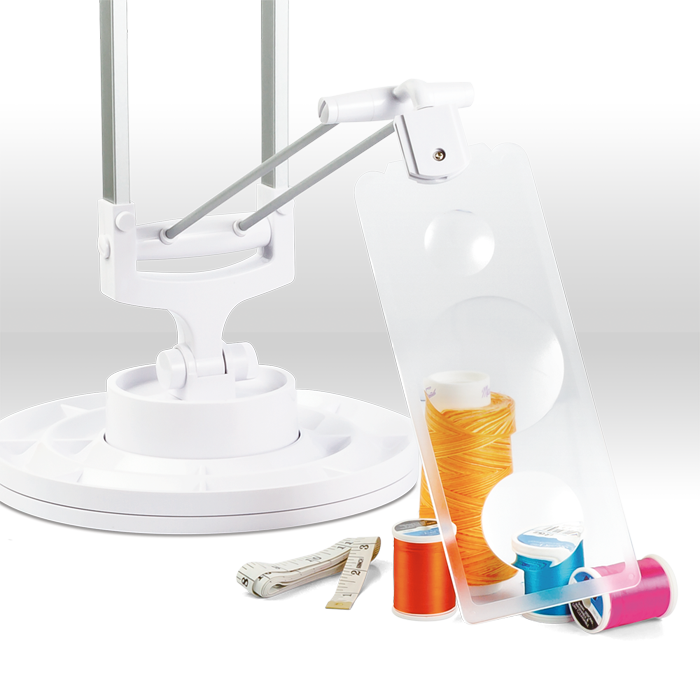 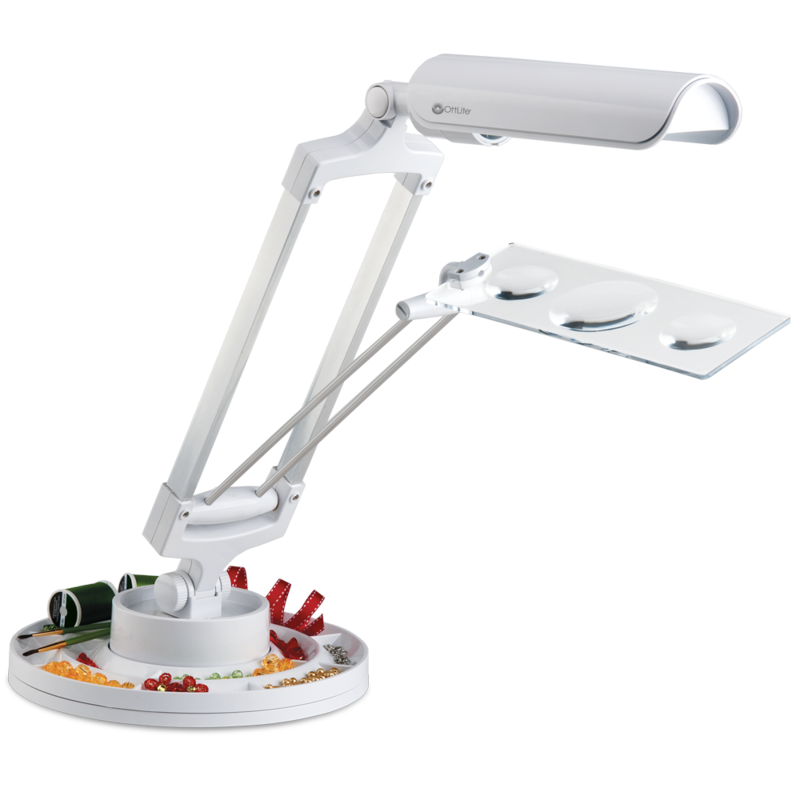 Plus, the lamp features a removable organizer tray that rotates a full 360 degrees, so it’s perfect for sorting beads, embellishments, threads and more. 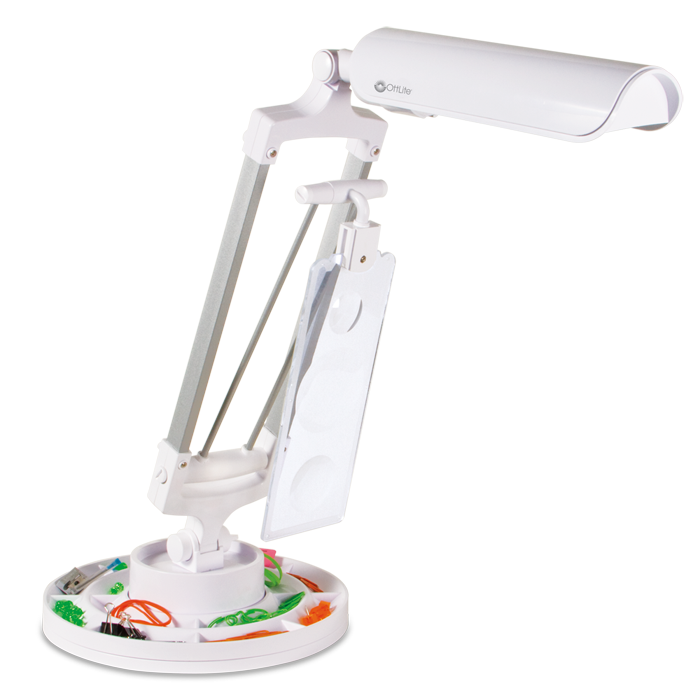 The lamp adjusts at the base and shade to deliver focused illumination for details or broad illumination over your workspace. 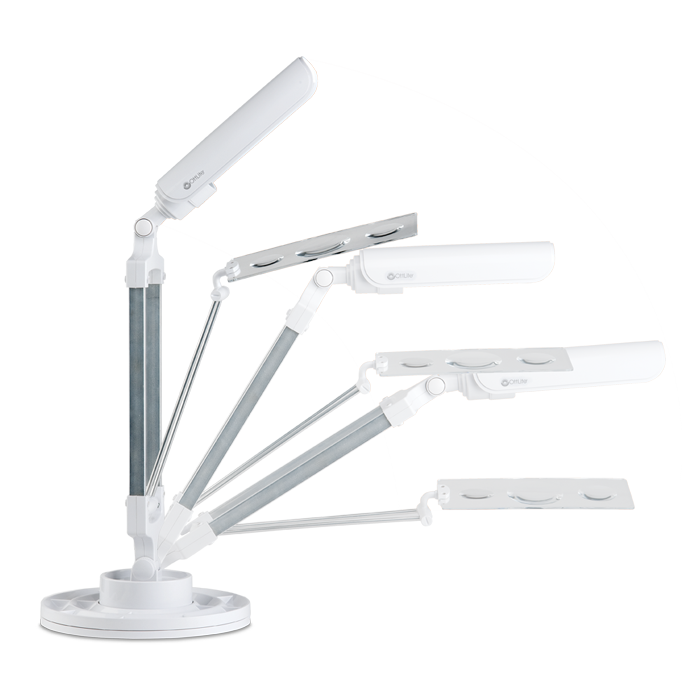 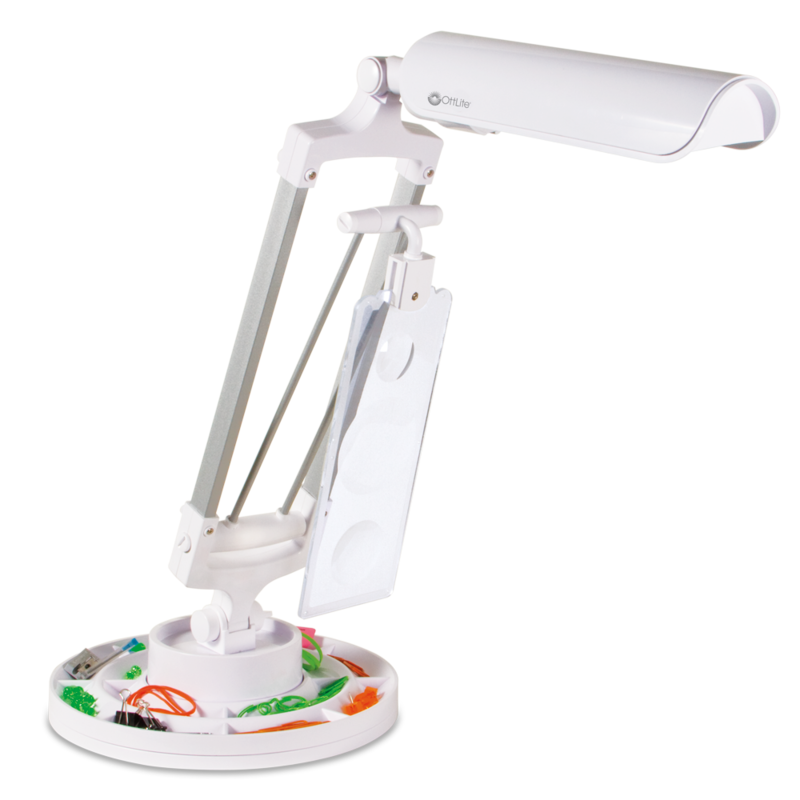 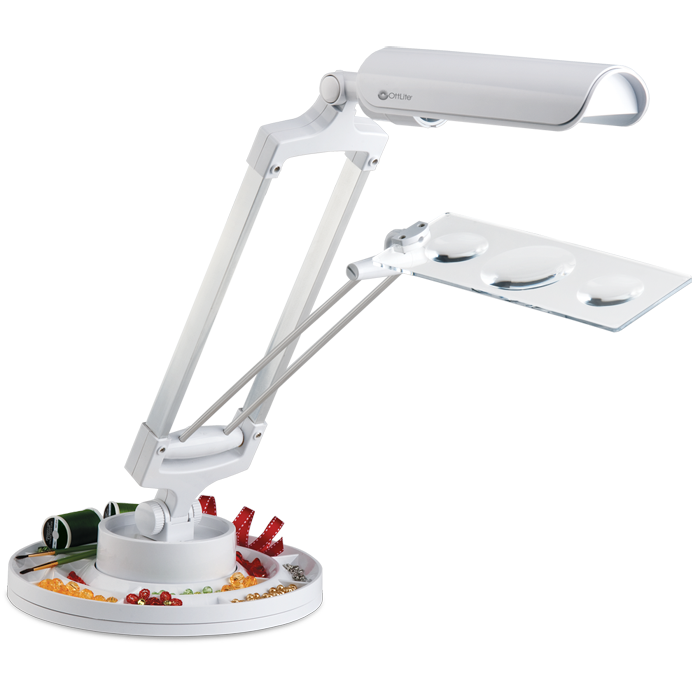 To really focus on the finer points, this magnifying lamp includes 3 spot magnifiers that extend out over projects and fold up when not in use.